These were the words of Premier Dr. The Honourable D. Orlando Smith at the opening ceremony of the XXXVI Caribbean Financial Action Task Force (CFATF) at the Multipurpose Sports Complex in Road Town on November 14, 2012. According to Premier Smith, as a tourist destination and a premier financial services jurisdiction, the Virgin Islands understands just how well good reputation matters. He also said a hike in the level of criminality in society would likely keep visitors away and if a blind eye is turned to any abuse of legitimate business structures, those engaged in money laundering, terrorist financing and other forms of financial crime will see a haven in the Virgin Islands. Consequently, the Premier said, the only recourse is to build and strengthen law enforcement defences, in addition to ensuring the enactment of appropriate legislations that comply with established standards to curb the spread of criminality. He also noted that the Royal Virgin Islands Police Force, Financial Investigation Agency and Customs Department have the primary responsibility of guarding the perimeters of the Territory’s borders and, along with the Immigration Department, a close watch is placed on those who make it their business to smuggle people into and through the Virgin Islands. The Premier also spoke of an InterGovernmental Committee on AML/CFT which comprises the Ministry of Finance, Attorney General’s Chambers, Customs Department, Police Force, Immigration Department, Trade and Consumer Affairs Department, Shipping Registry, Airports Authority, Ports Authority, Office of Director of Public Prosecutions, Post Office and Financial Services Commission. “This institution effectively serves the useful role of an intelligence-gathering body by promoting cooperation amongst all the key Government institutions. We consider this to be an effective medium for detecting and reducing criminality in our society. 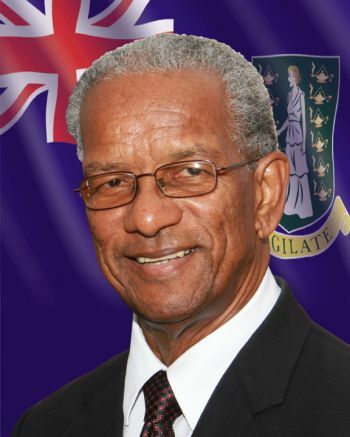 In addition, Premier Smith said the Joint Anti-money Laundering and Terrorist Financing Advisory Committee (JALTFAC), which is a public-private sector body, also aids the Virgin Islands’ fight against money laundering and terrorist financing. Premier Smith also said those who engage in the activities of money laundering and terrorist financing neither know nor respect borders; they permeate every territorial boundary and, if left unchecked, can create instability and distort national economies. Premier Smith added that it was therefore important that all CFATF Members and their global partners work together and assist each other in building and strengthening appropriate defences to keep criminals at bay. Also giving remarks were Attorney General, Dr. the Honourable, Christopher Malcolm, Financial Action Task Force (FATF) President, Bjørn Aamo and CFATF Chairman, Manuel Gonzalez. The XXXVI Plenary of the Caribbean Financial Action Task Force (CFATF) is being held from November 12 – 15, 2012 and this is the second time the Territory has hosted the event. The first was in 1999. 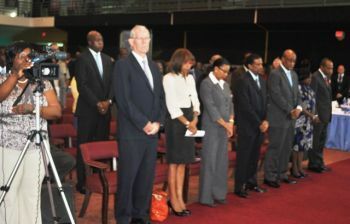 Some 150 delegates from 29 member jurisdictions including 20 delegates from the Virgin Islands are attending the event. The Virgin Islands is currently the Deputy Chair of CFATF and will assume the position of Chair at the conclusion of the Plenary tomorrow. The CFATF is an organisation of twenty-nine states of the Caribbean Basin, which have agreed to implement common measures to address the problems of money laundering and terrorist financing. The main objective of the CFATF is to achieve effective implementation of and compliance with global standards on the detection and prevention of money laundering, terrorist financing and other forms of financial crime. just more blah blah blah where is your policy? An economy in decline while property prices increase is a sign that there is money laundering taking place in the country. The anti-money-laundering law has been one of the government's most powerful weapons in the war on drugs.